«In May 2007, I was working at Caffè Scala, a banqueting firm in Milan. 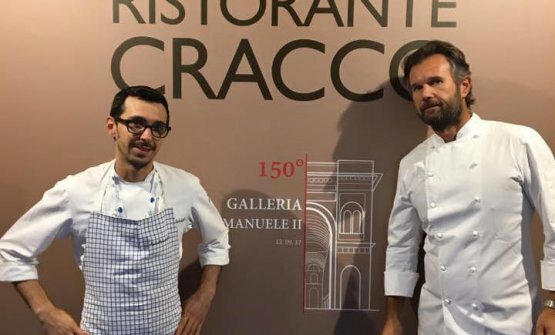 My colleague Iacopo [Zambarbieri, who collaborates with Identità Golose] told me Cracco was looking for a pastry chef. At the time I had never heard of him. I accepted. When I first began, I had two guys above me. One week later, the first left. One month later, the second left, mid-service. In the end, I only had Matteo Baronetto above me. I was scared like crazy». This is the most important sliding door for Luca Sacchi, who, a decade or so later, is now the sous chef at Cracco in Galleria, the most awaited opening of the year, scheduled on the 21st February. We already know the place: there will be a café and pastry shop on the ground floor, a staff laboratory on the mezzanine floor, a winebar in the basement, a gourmet restaurant on the first floor and a private event area on the second one. Until now, however, we knew little of the team members. We called Sacchi on the phone and heard drilling in the background: «Men are still at work, but we’re almost ready. We’re very happy of the team we assembled, some 70 people. 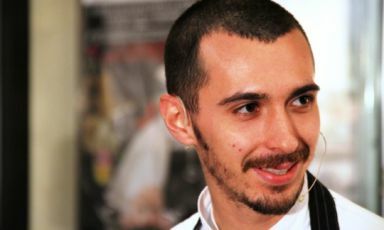 Marco Pedron, 34, and a long experience with Luigi Biasetto, will run the pastry workshop. I know him very well, we’re very close. We share everything. We’ll make brioches, colombe, chocolate… The winebar manager is Alex Bartoli, who worked at Pinchiorri for many years. He’s obsessed with wines. In the dining room, we’ll have Alessandro Troccoli back from Moscow». 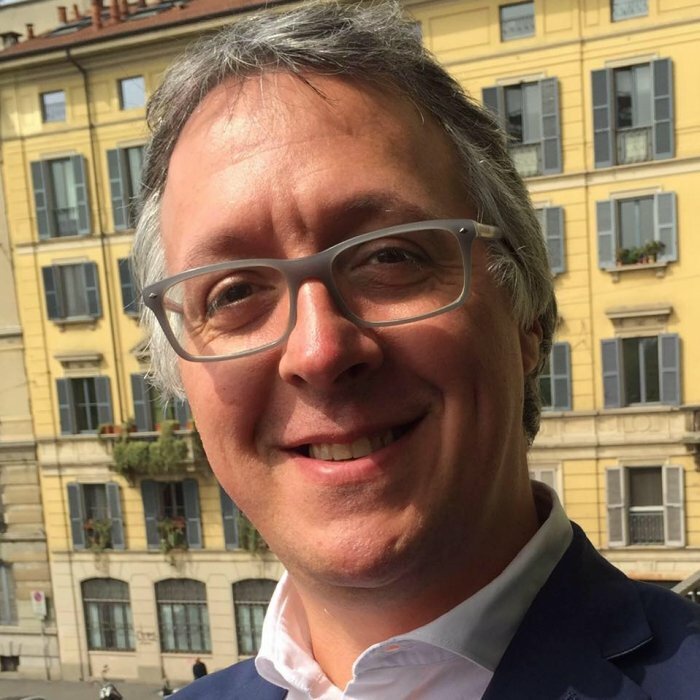 And then there will be Luca, the on-site director of all the kitchens: «I was the first to visit Galleria, even before the call for bids was opened. Carlo would draw too much attention. We are very close. I feel I owe him so much for all he’s done for cooking and for me. He deserves the best. It will take some time, but in the end he’ll get what he deserves». For sure, this young man from Abbiategrasso has plenty of patience. Not yet 32, he’s already spent an incredible amount of hours with a stove or a planetary mixer under his nose, «I’ve often worked 20 hours, went to sleep and then back to work. I like giving all of myself until I collapse». 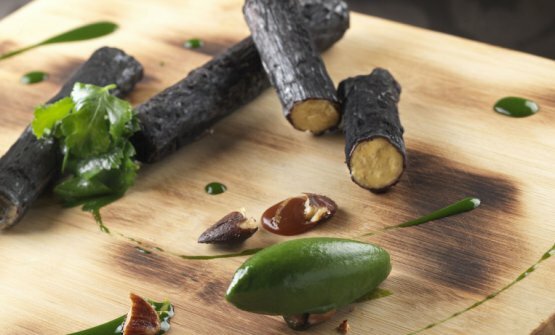 Strangely enough, this passion exploded in the mountains: «I didn’t want to attend catering school in Milan. I hadn’t heard great things about them. I chose a school in Ponte di Legno, in Val Camonica. I learnt a lot». With the piece of paper in his pocket, in 2001 he immediately started in a prestigious restaurant, Antica Osteria del Ponte, also known as “La Cassinetta”, with Ezio Santin, 3 Michelin stars between 1990 and 1997. «I was a factotum, errand boy. Michele Abbatemarco was also there. He now works as pastry-chef with Troigros. I enjoyed myself». From the fog near home, to the year spent in Sardinia: «I worked in a pastry-shop in Castelcervo. That’s where I met Gianni Griseri. He’s the greatest professional I’ve ever seen. He was doing banquets in Saudi Arabia, state-of-the-art ice sculptures. He was a François Vatel from Piedmont, married to a Sardinian. Those were 3 inspiring months». 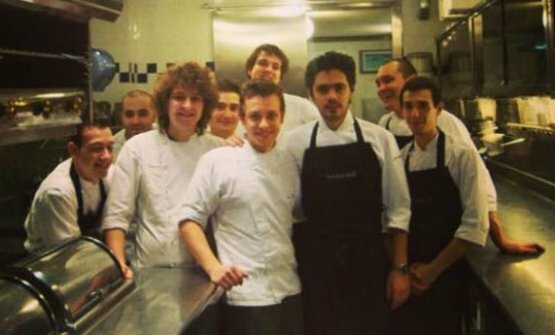 Ten more months at Cala di Volpe followed: «I was the last of 5 pastry-chefs». Frozen fruit is also emblematic of his work. The dessert has been in the menu for 6 years, hard to disappear. 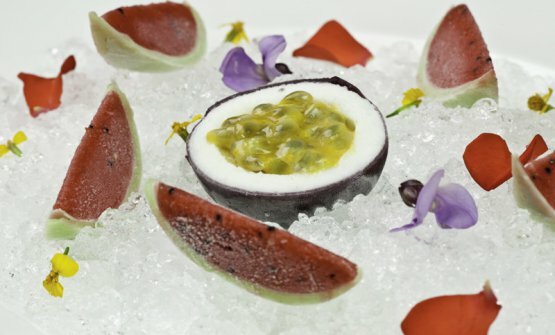 It’s made of sorbets and gelatos joined together in a dish that has a thousand seasonal takes. And what will you present at Dossier Dessert at Identità Milano? «An interesting and light lesson that can stimulate happiness. I need it at this incredible time in my life».